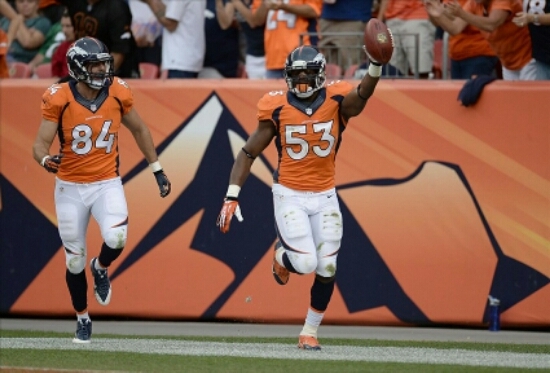 Steelers Sign Former Titans/Broncos ILB Steven Johnson | "IT'S A STEELERS WORLD"! The Pittsburgh Steelers added some depth to their inside linebacker corps, signing veteran Steven Johnson to a one-year contract. Terms were not disclosed. Johnson spent last season with the Tennessee Titans recording two fumble recoveries, playing mainly on special teams. Previous to his stint in Tennessee, Johnson spent three seasons with Denver, where he recorded 33 tackles and one forced fumble. The 6-foot-1, 237-pounder was not re-signed by Tennessee after one season in Nashville. In a twist, Johnson could be replacing Sean Spence, who signed with the Titans on March 16. Johnson joins one of the deeper position groups on the Steelers roster. The Steelers already have Lawrence Timmons, Ryan Shazier and Vince Williams in the inside linebacker mix. Johnson, who visited the Steelers’ training facility on Thursday, is a Pennsylvania native. He grew up in Wallingford, Delaware County, and played for Strath Haven High School. He later went to the University of Kansas but went undrafted.